This June, visit La Roca Village and discover the sneakers that will leave their mark this season, with savings of up to 60% on the recommended retail price. This year is the year of the slip-on. We’re not sure if it’s because they’re comfortable or because their lack of laces makes them so convenient, but we do know that all the brands have jumped on the bandwagon with their own versions. The heir to the moccasin, slip-ons now feature a rubber sole and an upper part tailored to suit every consumer’s tastes. Starting from this premise, Philipp Plein has managed to create slip-ons that represent the firm’s style: sporty luxury. With a white sole and white star-shaped studs on a calf-leather upper, the Bell Gardens will definitely add that rock’n’roll touch to your outfit. 2018 marks the 30th anniversary of the New Balance 996 model. And it’s no surprise they have lasted so long as their design and comfort surpass fads and trends. 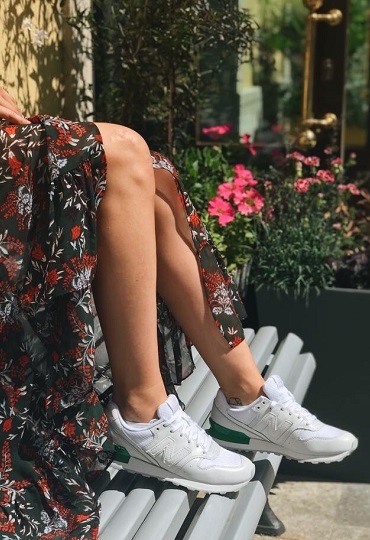 In fact, the 99X series by New Balance started life on the running track but have become one of the lifestyle models par excellence and they are now a favourite with fans of glamleisure, the combination of formal items of clothing with more sporty pieces. A totally black outfit is a wildcard for any situation. Why not break the monotony with white details on the sole and toe of the classic canvas sneaker? And if you want a top quality model, we recommend that you opt for the version produced by Levi’s. The firm originally created a highly resistant material for Californian miners to withstand the tough conditions underground. This undoubtedly makes these sneakers more durable than most other equivalents. The history of the hi-top comes from basketball: their grip and ankle protection were designed to prevent injuries as players swivelled on the court. 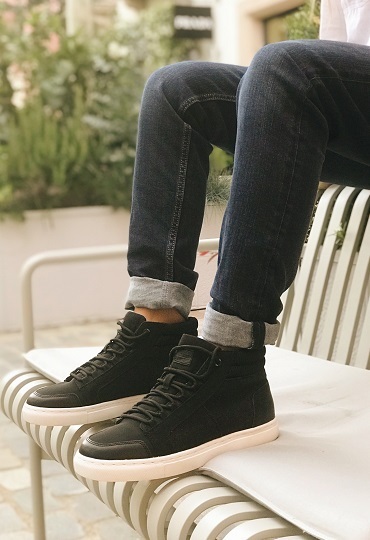 This season the model has been revised by many brands, including Vans, who saw the potential of this style long ago when, in the 1970s, the firm created the Vans Sk8-Hi for their loyal skater fans. But this model makes a leap from the world of urban sports to become one of the current favourites of Instagram influencers. This year sees the comeback of double denim: top and bottom swathed in denim with similar tones. But we suggest you go a step further by adding accessories in this iconic material to form triple denim. And what better way to go than with the jean-finish sneakers presented by G-Star Raw, a firm famous for its denim products. 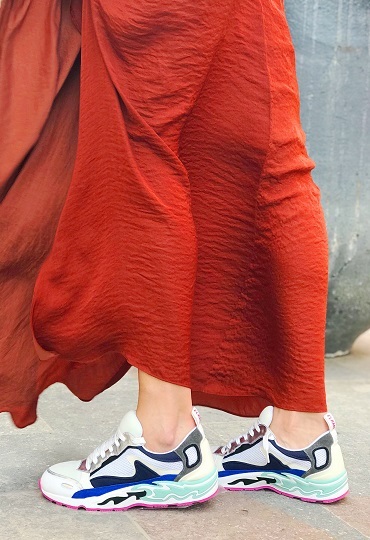 Last but not least, if there is a single trend that absolutely every brand has signed up to it’s the maxi shoe, or what others have called the ugly shoe: bulky sneakers with questionable aesthetics. The French firm Sandro offers us their version under the name Flame, an exclusive collection designed to appeal to all followers of fashion, male or female. A little bit of platform never hurt anyone, in fact quite the opposite, it will enhance the shape of your legs! 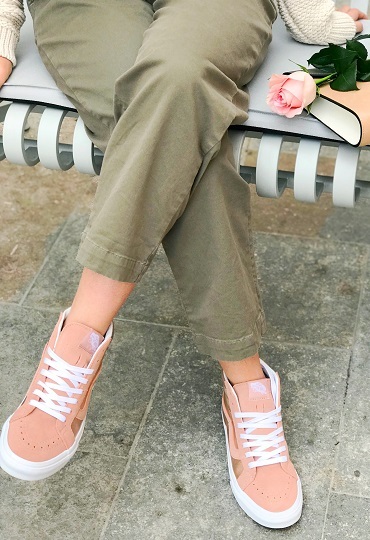 Puma has adapted one of its classics, the Puma Vikky, to include the trend revolutionising the fashion scene, giving rise to the Puma Vikky Platform model. Available in a myriad of colours and combinations, these shoes will make you own the street wherever you strut.